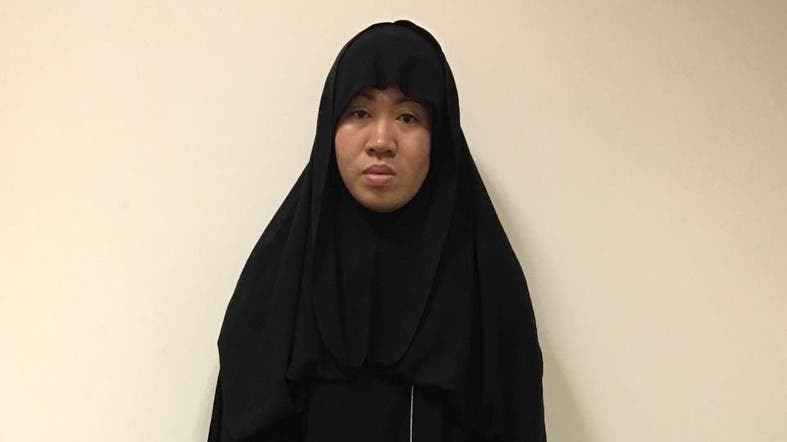 Kuwait said Friday it arrested a Filipina it accused of joining the ISIS group through its affiliate in Libya and who planned to launch an attack. The Interior Ministry said the woman, born in 1984, entered Kuwait last June as a house maid. Security forces monitoring the woman's email found messages by the woman to the ISIS group's Libyan affiliate, pledging allegiance to the group. "She confessed she was ready to carry out any terrorist attack once circumstances and means were ripe in order to undermine security and stability in Kuwait, as well as ignite sedition," the state-run Kuwait News Agency reported. KUNA also published a photograph of the woman in a black abaya, a loose black dress. The statement did not identify the woman, nor did it say if she faced criminal charges. It wasn't immediately clear if she had legal counsel. Tiny, oil-rich Kuwait has been hit by an ISIS attack before. A suicide bomber killed at least 27 people and wounded 227 during the holy month of Ramadan last year.